3-Piece Ceramic Fry Pans Just $24.99! Down From $60! You are here: Home / Instagram / 3-Piece Ceramic Fry Pans Just $24.99! Down From $60! 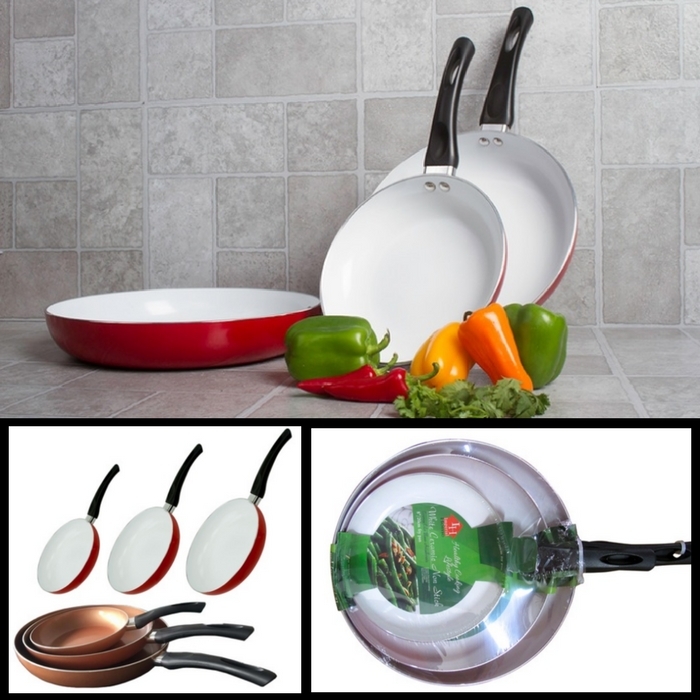 Head over to Groupon and score this awesome 3-Piece Ceramic Fry Pans for just $24.99 down from $59.99 PLUS FREE shipping for orders over $35! These frying pans are made of ceramic, which is naturally nonstick and won’t release any potentially harmful chemicals into your food. You will get an 8″, 10″ and 12″ sizes. A really great product for a great price! Hurry and get them now! 8” pan: 14.5”x8”x1.75” with 6.5” handle; 1.2lb. 10” pan: 17”x10”x7” with 7” handle; 1.7lb. 12” pan; 19”x12”x7” with 7” handle; 2.2lb.